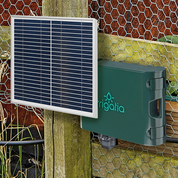 Irrigatia solar-powered tank pump will water up to 40 sqm garden bed, 48 hanging baskets, 240 tomatoes in pots and connects to 13mm tank outlet. Needs minimum 60 drippers. 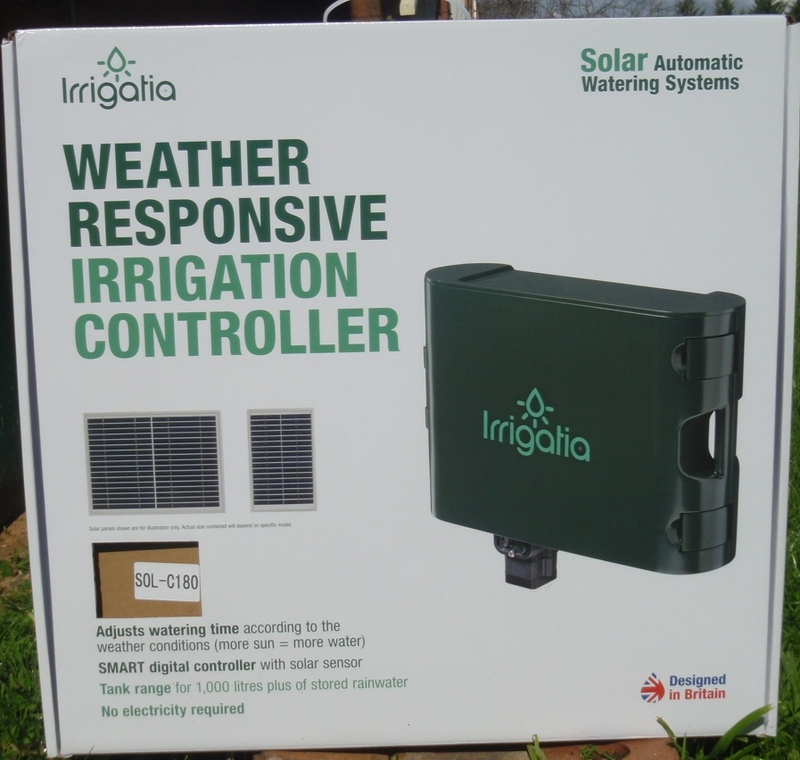 Kit contains: C120 controller with main irrigation pump and secondary feed pump, water level sensor, C120 solar panel (10W) with 5m lead, 1 x inline filter & 2 x 13mm adaptors, 1 x foot strainer, 1 x 25m roll of 13 mm tube, 1 x 2.5m of 3.5 mm tube & inlet filter, 1 x 4mm punch, 12 x 4mm joiners, 2 x 13mm T pieces, 4 x 13mm end plug, 4 x 13mm elbows, 10 x 13mm stakes, 6 x 13m clamps, 2 x 13mm valves, 12 x 4mm valves, battery pack containing 10 x AA rechargeable batteries. 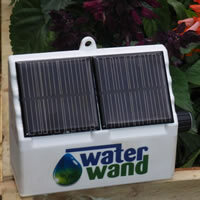 You must also buy irrigation kits – up to 12 x 20-dripper irrigation kits and, if you wish, up to 8 x 15m seephose kits.